The broadcasts produced by Michael Stoler. The Stoler Report-New York's Business Report is a weekly half hour panel discussion. The show currently in its 18th season airs 8 times a week in New York City on CUNY TV and airs in more than twenty university, educational, community and public access television stations in New York, New Jersey, Connecticut & Pennsylvania. Since the inception of the program in November 2001, more than 1,800 real estate and business leaders have participated on the lively panel discussion. Building New York-New York Life Stories is a weekly broadcast profiling the life of individuals from the tri-state region. Since the inception of the program in March 2006, more than 350 individuals have been profiled.The broadcast profiles the life of an individual or corporate leader who has been instrumentally involved in the growth, improvement and success of the community in the New York tri-state region. 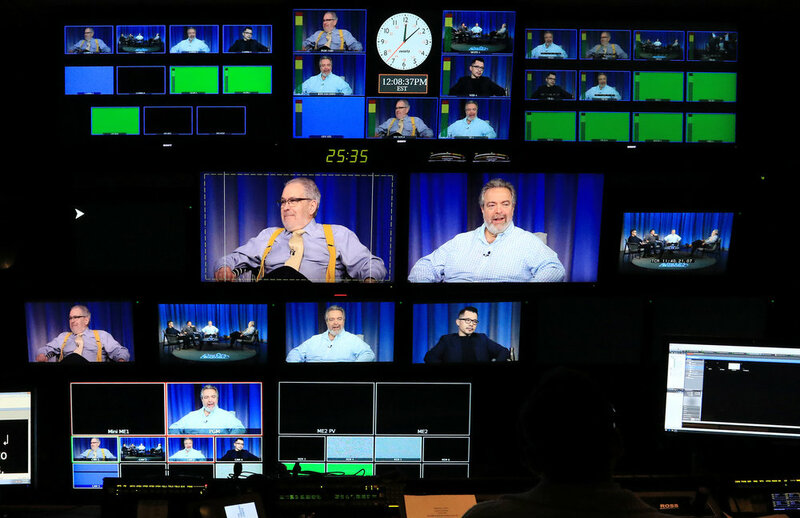 The show airs 8 times on week on CUNY TV in New York City and airs in more than twenty university, educational, community and public access television stations in New York, New Jersey, Pennsylvania and Connecticut. The New York Business Report with Michael Stoler is a weekly television panel discussion hosted by Michael Stoler. Each week, Mr. Stoler and his panelist discuss the trends taking place in the tri-state region. The show debuted in September, 2012 and aired 7 times a week on PBS in the tri-state region. The Stoler Real Estate Minute on Newsradio WCBS 880 airs on the weekends. The report provides up to date real estate information for the tri state region. Michael Stoler is the creator, host and moderator of the New York Real Estate Summit, an event which brings together real estate and business leaders. The summits are head in Midtown Manhattan and are lively panel discussions.